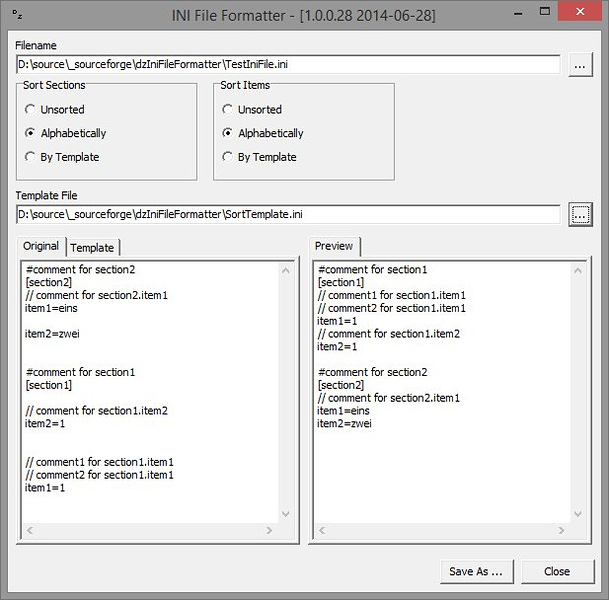 This tool allows formatting and sorting .INI files based on a template which gives a sort order for known sections and entries. Additional entries will be sorted alphabetically. The results can then be compared to each other much easier.